Theme parks are amusement parks that are planned loosely around a significant idea or theme. These parks are divided into various sections that use diverse elements to convey to visitors that they are in a specific place or time, or also to tell a unique story. Walt Disney and Disneyland are the first names that comes into the mind as the first theme parks in the world in Florida and California. They are rated among the largest and most visited themed amusement parks in the world. A theme park is a place with attractions made up of rides. They have a combination of different types of rides, clubbed with retail, restaurants and other entertainment outlets. Several are themed to a specific area; there is water parks, parks modeled after toys, parks modeled after movies or types of movies, usually adventure or action. Theme parks target an interesting mix of audience that includes adults, teenagers and children. 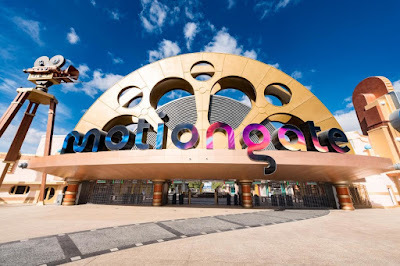 Riding high on the popularity, it comes as no surprise that MOTIONGATE was launched in Dubai. Dubai is recognized as a world-class vacation destination and the latest attraction offering luxury resorts, amazing food, out of the world experience for adventure and relaxation, world class infrastructure and a shopping haven. Dubai offers something for everyone to enjoy. Motiongate is one of the newest and most exciting theme parks in Dubai. The park is part of Dubai Parks and Resorts, the Dh13.2 billion project at Jebel Ali. It is a Hollywood and Bollywood inspired theme park located in Dubai Parks and Resorts. It showcases themed areas and attractions best-in-branded entertainment from three of the largest and most successful motion picture studios in Hollywood – DreamWorks Animation, Columbia Pictures and Lionsgate and opened in December 16, 2016. At Bollywood Park, the rides and attractions are inspired by popular Bollywood classics, including Don, Sholay and Lagaan. This is the world’s first amusement venue which is themed around Bollywood movies and fascinating Indian culture. The main attraction is the 850-seater Rajmahal theatre that exclusively hosts the region’s first Bollywood Broadway-style musical extravaganza. One can also experience live shows, where the visitors can enjoy stunt shows and performances depicting blockbusters like Dabangg. A lot of research had gone into designing the Bollywood theme park wherein the consideration was not only for the Indian Patrons but also taking into account the popularity that the Bollywood stars have across the globe. They have picked the biggest stars of Bollywood like Aamir Khan, Salman Khan and Shah Rukh Khan. The fact that Bollywood is very much male centralized in reflection in the park as well, it has a scope of expansion and likely to have more attractions with more leading ladies’ themed attractions.